My favorite reference is Fiction Writer's Workshop by Josef Novakovich. I constantly refer to it. Bird by Bird by Anne Lamott is my favorite book on writing. I love On Writing by Stephen King and all of Natalie Goldberg's books. I devour anything written by Donald Maass, also love Story Engineering by Larry Brooks and Plot Whisperer by Martha Alderson. A couple of my favourite writing books are: WRITER'S GUIDE TO CHARACTER TRAITS by Linda N Edelstein, PH.D., ON WRITING by Stephen King, THE ARTIST'S WAY by Julia Cameron, and SELF-EDITING FOR FICTION WRITERS: How to Edit Yourself Into Print by Renni Browne and Dave King. 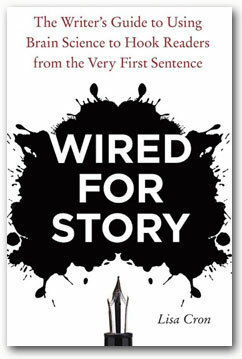 I love The Elements of Story by Francis Flaherty and Storycraft by Jack Hart. 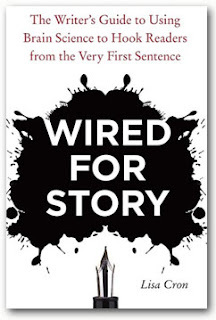 Wired for Story is definitely on my to-read list. Thanks! This sounds like a wonderful book! It seems like common sense - writing affects the brain and how we read! I'm looking forward to reading this. Anything by James Scott Bell. His books on plot and conflict have been helpful to me -- I like how clearly and concisely he lays everything out. Some of my favs are: Essentials of English, Shose Grammar Book Is This Anyway, Self-Editing for Fiction Writers, and On Writing Well. Always great to learn about a new handbook for the essentials! Her artwork is amazing. AND, she explains well how to focus and write about an image or memory. How I Write by Janet Evanovitch. Thanks for the giveaway. I don't actually have any writer's guide or reference. I should probably look some of them up. The forest for the trees I forget the author. Her career was as an editor. My Mom got me Bird by Bird years ago! Time for a re-read!